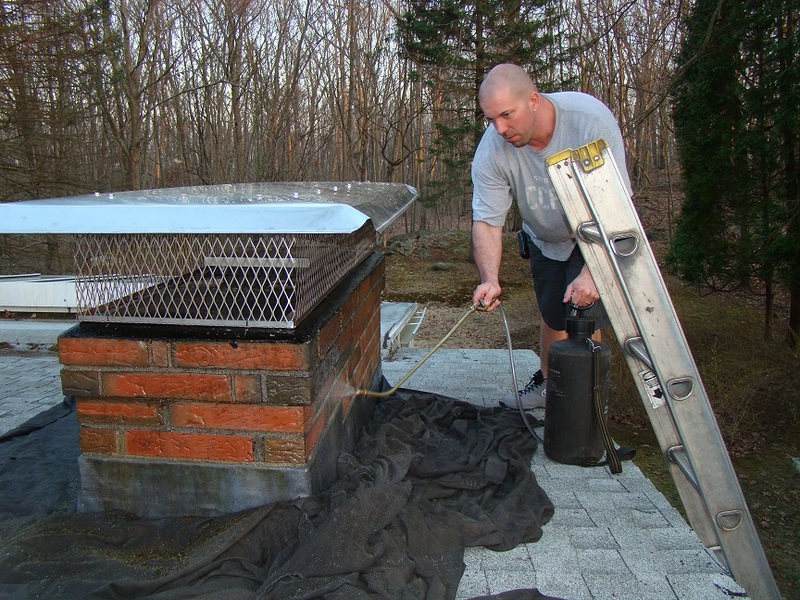 Besides “properly” capping your chimney with a custom oversized cap, the second step to fully protecting your chimney from water penetration and freeze/thaw damage is to have it properly waterproofed. 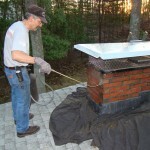 When we say “properly” having to do with waterproofing, it is because there are many different types and brands of waterproofing available today that are worse for your chimney than if you did nothing to protect it at all. The reason is this; They might not let any water soak INTO the chimney (which is good) but they don’t let vapor and moisture (which builds up inside your chimney) OUT. Then this vapor and moisture gets trapped inside your chimney and you will get the same freeze/thaw damage. This is also the same reason you should never paint a chimney (or anything else that SEALS it.) It needs to breathe! The waterproofing we use allows just that. It doesn’t let water soak in but it does let the vapor and moisture out. It’s what they call “vapor permeable”. 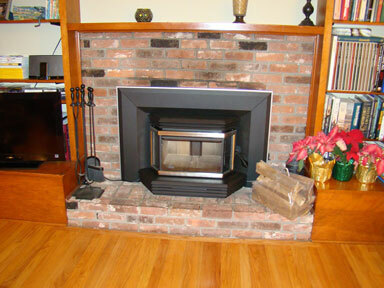 It is also clear in color so you don’t have to worry about it changing the appearance of your chimney. We apply two coats (which is double what they call for.) 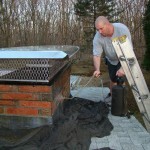 Ask us about our waterproofing warranty! 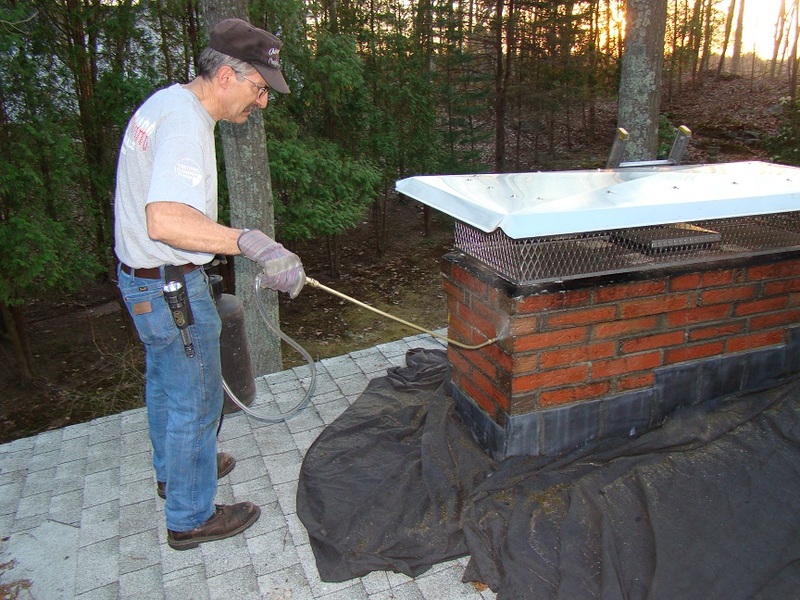 So with the “proper”, OVERSIZED, stainless steel (or copper) cap and the “proper” (vapor-permeable) waterproofing, your chimney should outlast you and your house. Without these things your chimney will surely be affected by water damage and end up needing to be rebuilt (usually costing thousands of dollars)! Then after having it rebuilt, you would need to “properly” cap and waterproof it anyways or it’s just going to be destroyed again. So why not save the money and just do it right the first time! ?